“Because We Are In Love (The Wedding Song)” & “Somebody’s Been Lyin'” arranged by Richard Carpenter & Orchestrated by Peter Knight. “I Believe You” arranged by Paul Riser. 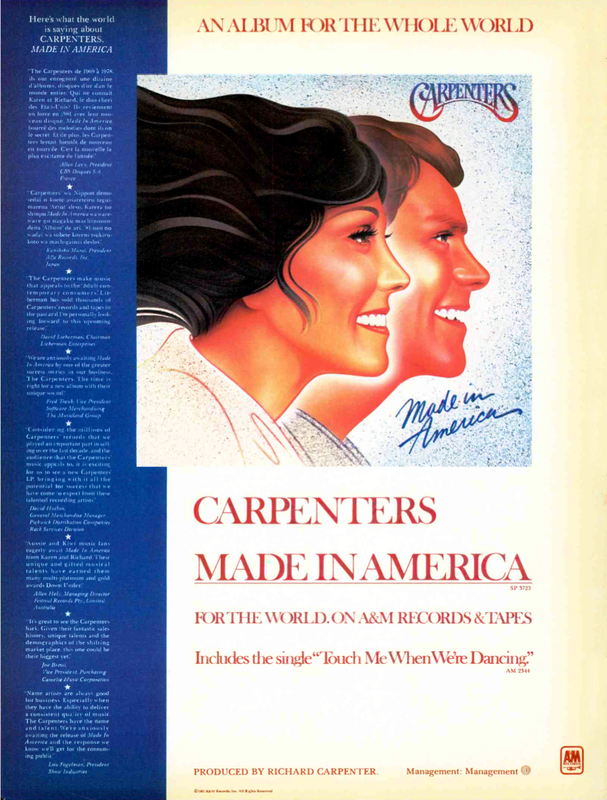 After a several-year break, Carpenters tackled their next album MADE IN AMERICA for release in 1981. The single “Touch Me When We’re Dancing” managed to break into the top 20 (#16), something that hadn’t happened for the duo since “There’s A Kind Of Hush” managed a #12 five years earlier. Four other attempts at singles didn’t fare as well. 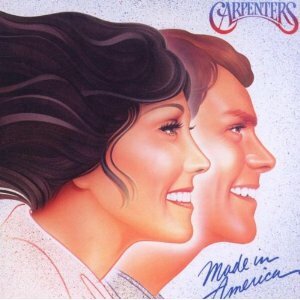 MADE IN AMERICA marked the last album released during Karen’s lifetime.